The International Baccalaureate Diploma Programme is a demanding two‑year programme of study of the traditional academic disciplines. It emphasises inquiry‑based and independent learning as well as rigorous assessment, exactly the skills needed to succeed at university. With evidence that IB students perform better in higher education than their peers, the Diploma is recognised and welcomed by leading universities and colleges around the world. 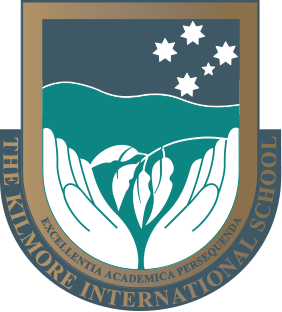 Students study six courses at higher level or standard level. Apart from studying their first language, students also study an additional language, Mathematics and subjects from the social sciences, experimental sciences and the arts. Students are also required to complete three core elements that promote intercultural understanding and respect as an essential part of life in the 21st century. These core tasks are individual research through the Extended Essay, an inquiry into the Theory Of Knowledge and structured activities of Creativity, Action, Service for personal growth. 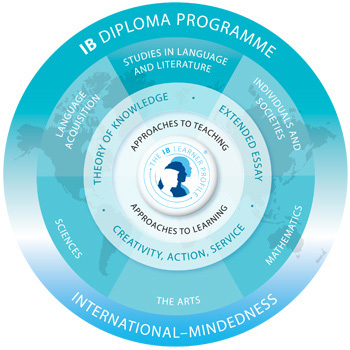 Find out more about the International Baccalaureate Organisation and read their mission statement. The IB expects Diploma Programme candidates to exercise academic honesty in all of their work, which includes acknowledging any sources used within an assignment. For more explanations on academic honesty, please click here.